Some traditional leaders continue with the old ways of regarding women as minors who need to be represented by men, Inyanda National Land Movement says. Sick and tired of always being allocated the back seat and being represented by men when it comes to land, a group of women are saying “enough is enough” and are taking the fight to traditional leaders, whom they see as stumbling blocks to women’s right of access to land. The women, who are affiliated to the Inyanda National Land Movement, urged all traditional leaders to respect the constitution that guaranteed gender equality and access to land by all. Tomorrow they will march to the Eastern Cape House of Traditional Leaders to demand an end to discrimination against women in land allocation. Inyanda is a collective of grassroots social organisations that advocate for land, food, sovereignty, human rights and realisation of rural democracy in the marginalised communities. It mobilises mainly rural women, youth, farm workers and small-scale farmers. It has 7 000 members spread across the Eastern Cape, Western Cape, Northern Cape, Free State and Limpopo and is recruiting in the remaining provinces. 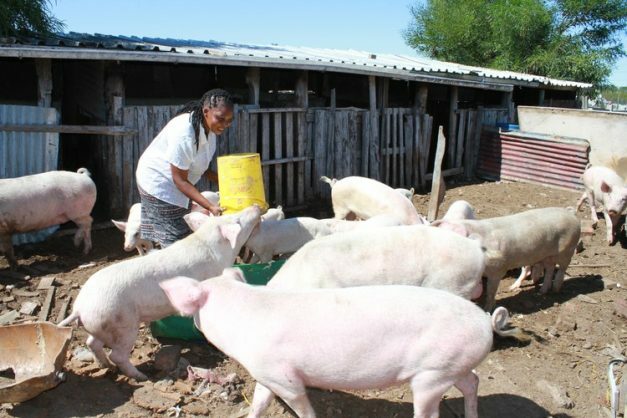 Inyanda women’s empowerment programme manager Nomonde Phindane said patriarchy continued to dominate land reform and the legacy had affected the women’s access to land. “We work hard to produce food through our projects, but we have no access to land as women,” Phindane said. She said women were demanding to have a say in land redistribution to close the ownership gap between women and men. “When women ask to be allocated land, they are always asked what they will do with it, but men are not asked the same question,” she added. Phindane said some traditional leaders continued with the old ways of regarding women as minors who needed to be represented by men. Even the land expropriation without compensation policy was silent on the rights of women to own land, she added. But the Congress of Traditional Leaders of SA (Contralesa), which represents the majority of traditional leaders in the country, said traditional leaders were not allowed to discriminate against women because of their right to equal treatment in terms of the Constitution. Contralesa president Kgoshi Mathibela Mokoena lambasted traditional leaders who still practised discrimination against women. “As Contralesa, our take on this is that women are human beings like all other people and they are entitled to land like everybody. However, he said there might still be pockets of traditional leaders who still practised discrimination. He said this must come to an end and that Contralesa was willing to educate them on the rights of women. Inyanda’s Phindane said: “We believe as food producers and people who take care of children and families, women need to own land. Women are mostly not part of decision-making, but once they are given an opportunity, they will decide what to do with it.